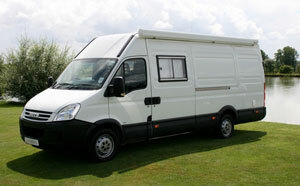 A company called A1 Holloway Rental is a good honest and reliable minibus car hire company. This is a minibus car hire company that operates out of Holloway Road in Camden and has been in this line of business since 1990. During all this time, the company has successfully provided high quality minibuses, cars and vans for hire. A1 Holloway Rental is a minibus car hire company that is based in North London and very close to Central London. The company specialises in providing its services in Highgate, Hampstead and Camden as well as Islington and aims to provide each customer with the very best minibus or car for hire at prices that are surprisingly affordable. A1 Holloway Rental aims to provide best value for money and offers a transportation solution for all kinds of minibus hire requirements. Its services are available in not just London but also in the rest of the UK. A1 Holloway Rental prices are very competitive and it is also a company that readily offers discounted minibus rental prices for customers that hire their minibus for an entire week. To contact A1 Holloway Rental, you will need to call 020 7561 0777 or you can also send the company an email. If you want to pay a personal visit to the company’s office then you will need to visit the company’s office at 615 Holloway Road, N19 4DJ. The Car Hire Co is another very reliable minibus car hire company. In fact, The Car Hire Co makes the task of hiring a minibus or car a very straightforward and easy task. It understands that each customer is looking for quality service and will be looking to book their vehicle without any fuss or bother and in quick time. Therefore, The Car Hire Co has done everything possible to supply high quality vehicles and its delivery and collection services are also second to none. Whether you need a seven seat minibus or a larger minibus, this minibus car hire company can provide you with a suitable vehicle. The Car Hire Co is a company that provides delivery services in London as well as in the Home Counties. Its booking system is also very quick. It accepts online bookings and it also books minibuses on the phone. When you deal with The Car Hire Co, you will be pleased to learn that it offers great value for your money and also serves you in a polite and yet very professional manner. Each vehicle that is provided on hire is well maintained, clean and new. To contact this minibus car hire company you can speak to them on the phone on 020 8546 6777. You can also contact this company by email. The company’s office address is Aptiga Limited, c/o The Car Hire Company 220 Garth Road Morden Surrey SM4 4NL.